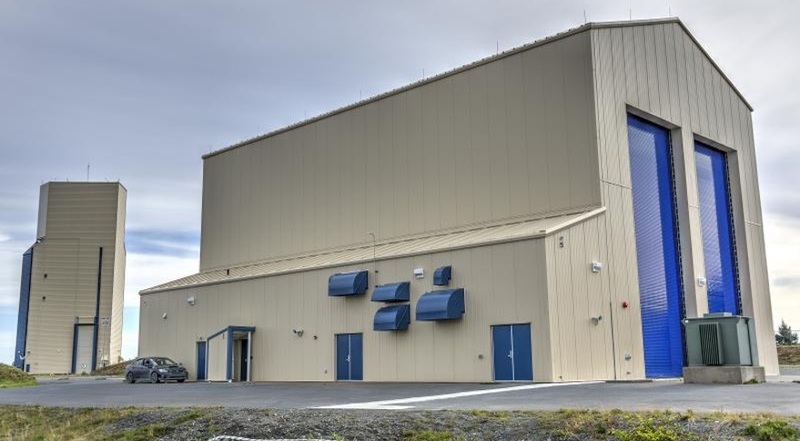 Launch facilities at Pacific Spaceport Complex Alaska on Kodiak Island. Credit: Alaska Aerospace Corp.
WASHINGTON — A test flight in Alaska of a small launch vehicle by a stealthy startup company ended in failure in late November, the Federal Aviation Administration has revealed. In a speech Dec. 6 at a U.S. Chamber of Commerce space conference here discussing the agency’s approach to commercial spaceflight safety, FAA Acting Administrator Dan Elwell mentioned a recent, but previously unreported, accident involving a launch taking place from Alaska one week ago. Elwell didn’t provide additional details about the event, and left the conference without taking questions. However, according to the list maintained by the FAA on its website of licensed launches, there was a launch Nov. 29 by Astra of its “Astra Rocket 2” from Alaska. No payload is listed for that launch, and the site provides no other details about the mission. A launch license the FAA issued to Astra Space Inc. on Oct. 15, also available on the FAA website, authorized the company to perform a suborbital flight of its “Rocket 2” vehicle from Launch Pad 2 at Pacific Spaceport Complex-Alaska, the commercial launch site on Kodiak Island, Alaska, operated by Alaska Aerospace Corp. The launch featured a first stage but an “upper stage mass simulator” in place of an active upper stage. The rocket was intended to fly on an azimuth of 195 degrees, or slightly west of due south, from the spaceport, but the license did not disclose the planned altitude or downrange distance for the mission. Alaska Aerospace Corp. did not immediately respond to a request for comment Dec. 6 about the Nov. 29 launch accident. An FAA source, speaking on background, said the accident caused no damage to the spaceport. Astra Space has also not commented on the launch failure. The company, based in Alameda, California, has been working on a small launch vehicle capable of placing 100 kilograms into low Earth orbit, according to documents included with its lease agreement with the city of Alameda for a building the company uses. The company has maintained a low profile, identifying itself as “Stealth Space Company” in some job listings.